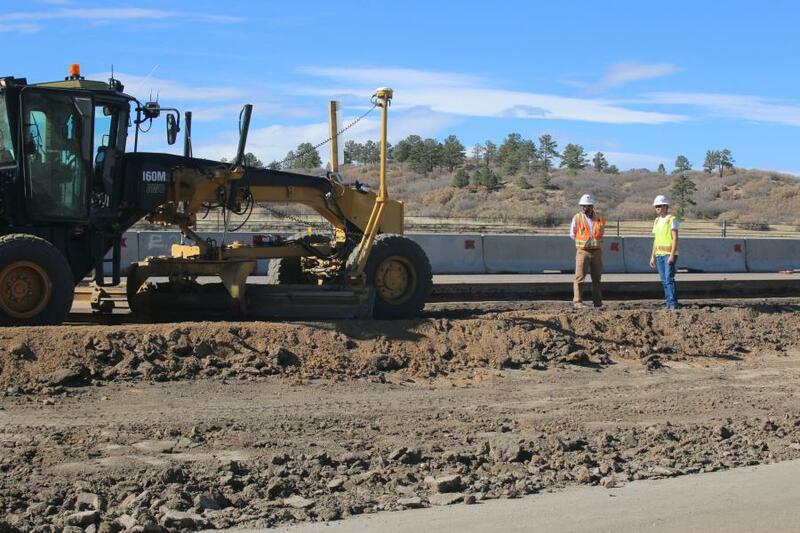 In what's considered the fastest delivery of a project of its size in Colorado Department of Transportation (CDOT) history, construction crews are making steady progress on the I-25 South Gap project. The Gap is an 18-mi. stretch of Interstate 25 from south of Castle Rock to Monument. "It's the only four-lane section of I-25, connecting Colorado's two largest cities, Denver and Colorado Springs," said Paul Neiman, CDOT project director. "Over the years, congestions, crashes and delays have increased, due to population growth and more people using the roadway. "Travel delays and trip unreliability are a source of frustration for travelers now, and will only get worse as Colorado's population grows from five million to more than eight million in the next 20 years." The $350 million undertaking is made possible through contributions from Douglas and El Paso counties, Pikes Peak Rural Transportation Authority and a federal INFRA grant. The project calls for widening shoulders outside and inside the travel lanes for safer vehicle pull-off and emergency response. This improvement also will help with drainage. After crews add an express lane in each direction of I-25, motorists can use the express lane in exchange for a toll, or use one of the two general-purpose lanes for free. Carpoolers and motorcyclists can ride the express lanes at no charge. As part of the construction, crews will build a number of new wildlife crossings and install deer fencing. They also will add a new overlay to the existing pavement for a smoother ride and reconstruct four bridges and extend ramps. In addition, truck climbing lanes near Monument Hill and the Greenland Road exit will be added and workers will modernize communications and power along the corridor to enable advanced technology. Work began in early September 2018, and is expected to be completed in 2022. Overall, construction is being completed in three sections — north, middle and south. Along the north end, between Castle Rock and Larkspur, crews have pushed traffic to the outside shoulders to work in the median, where new express lanes are being built. 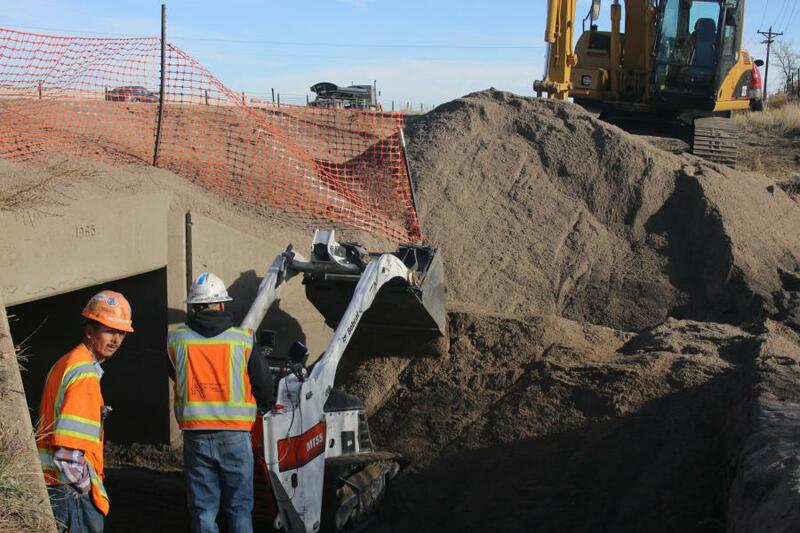 "Current construction activity includes paving, drainage installation, construction of the permanent concrete wall that will separate northbound and southbound I-25, soil stabilization and installation of erosion control measures," said Neiman. "This work zone is five miles long." Along the south end, between Monument and Greenland Road, crews are setting nearly 90,000 ft. of concrete barrier to protect the 7-mi. work zone. "They've installed some temporary pavement and shifted traffic. Clearing and grubbing has started. This work is in the median in some areas and in the shoulder in others. Work on the middle section, between Greenland Road and Larkspur, is set to begin this summer. "This stretch of highway hasn't seen major improvements in about 60 years. Crews have been finding pavement that's in poor condition, and though we try to address this prior to shifting traffic onto those areas, some other areas will show distress under traffic." Said Neiman, "The existing roadway lacks sufficient shoulders as well, which creates challenges for phasing and sequencing the project and limits the amount of construction that can be completed in any given phase. 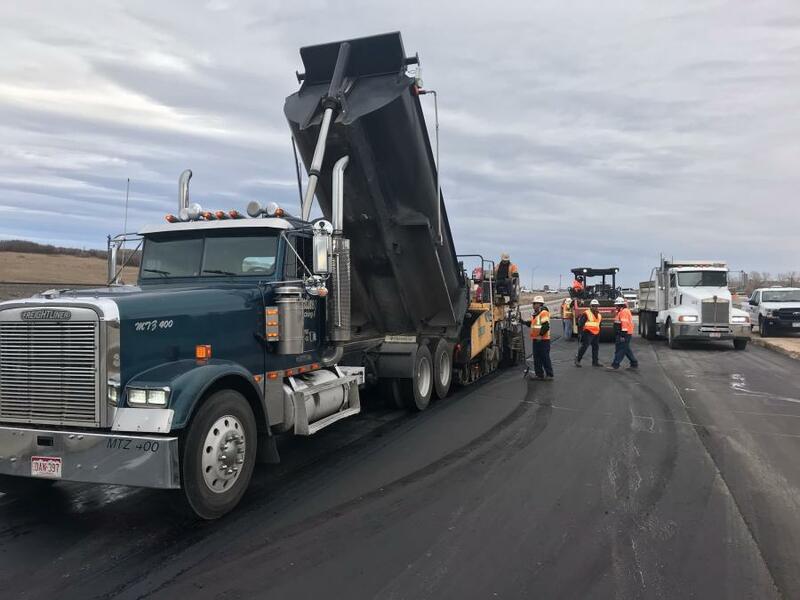 The key to constructing this project safely is maximizing work areas, while providing two travel lanes of I-25 in each direction and spots for emergency pull-offs, as well." Neiman noted that the forecast is always a consideration for construction teams in Colorado. "In some cases, wet weather can delay paving, or low visibility can halt work for a day due to safety concerns. 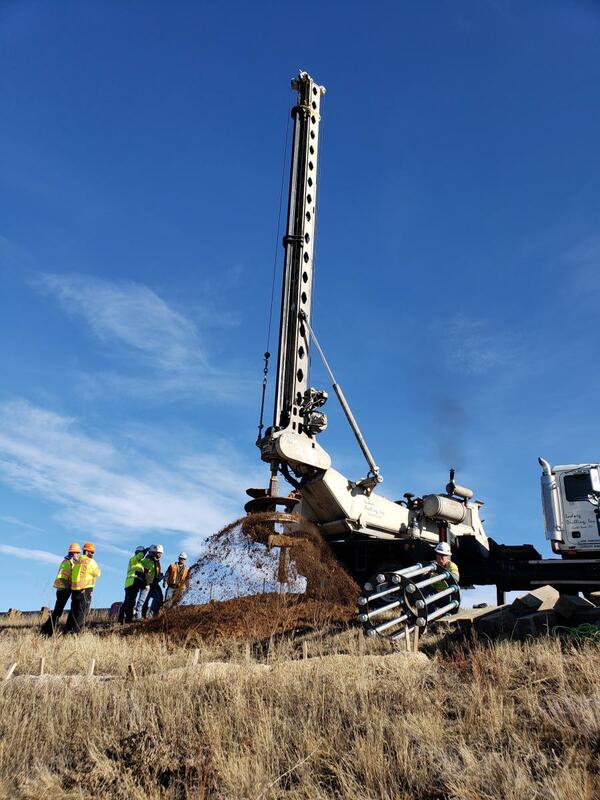 However, the Kraemer North America team, which has a regional office in Castle Rock, is made up of people who are experts at anticipating these challenges, so we remain on schedule." Motorists are coping with necessary traffic interruptions as best they can. "During construction, we have maintained two travel lanes in each direction during peak travel times, so our most significant impacts/delays have been during the unexpected — crashes in the corridor. Planned lane closures only take place overnight Sundays through Thursdays from 8 p.m. to 5 a.m."
Neiman added that one of the unique and historic characteristics about the 18-mi. corridor from Castle Rock (just south of Denver) to Monument (just north of Colorado Springs) is the variety and quantity of wildlife. "While viewing wildlife along the corridor is enjoyable and unique to Colorado, wildlife has contributed to serious crashes in the corridor. 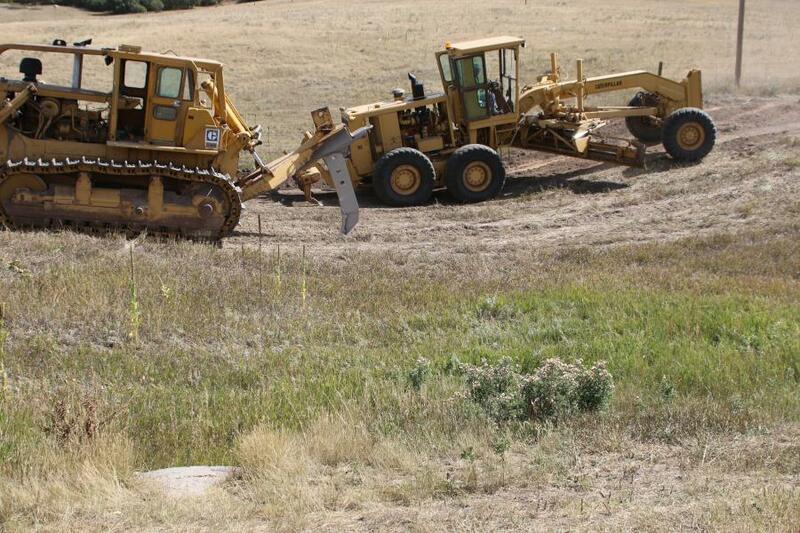 To determine the location of four new crossings, CDOT and Colorado Parks and Wildlife analyzed locations along the corridor where collisions were highest, as well as areas of expected wildlife movements, existing game trails, culverts, drainages and existing bridges." About 4,600 linear ft. of permanent concrete wall and barrier has been built in the north section and several sections of permanent paving are already complete in this section. Milestones will include the beginning of construction on the middle section, which is expected this summer. On the north end, crews will shift traffic to the center, newly constructed area, to work on the outside lanes. The work is scheduled to start this spring. Other key tasks include the reconstruction of the Greenland interchange into a two-lane interchange, along with reconstruction of the ramps at County Line Road, near Monument, which should take place this year. The Greenland Road interchange will be rebuilt from a single-lane box culvert to an I-25 overpass bridge with two lanes underneath. Just to the north of the Greenland structure will be a new wildlife crossing. Ramps also will be reconstructed. "During this work, drivers can still expect two travel lanes in each direction during peak travel times; however, all traffic will be shifted to one side of the highway and then the other," said Neiman. "So, first, all northbound traffic will be shifted to the southbound side, and traffic will ride head-to-head, barrier separated. Then, it will switch. This work is expected to start this summer." The Tomah Road to Greenland Road section is considered the most complex. "This section of roadway has some of the largest grade separations between northbound and southbound," said Michael Blasi, deputy project manager of Kraemer North America, the general contractor on the project. 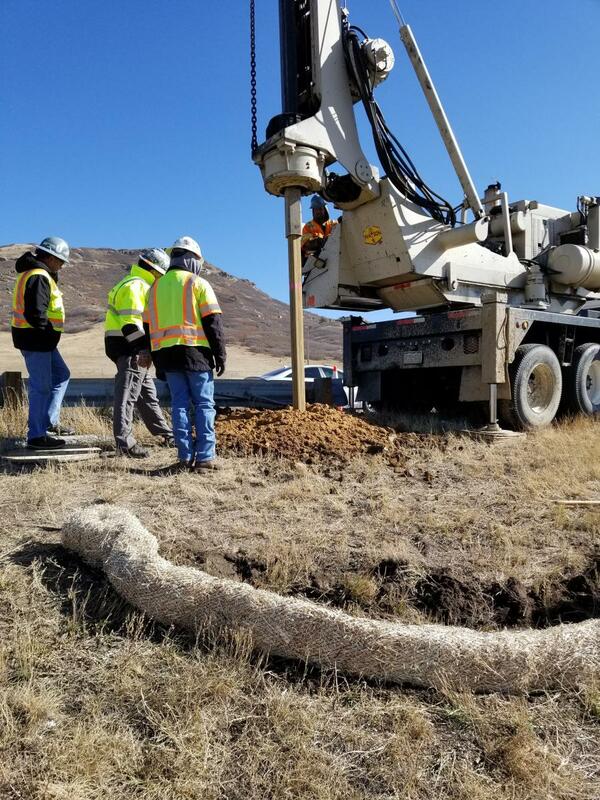 "Along with some of the larger concrete box culverts for drainage, this stretch also will see the addition of a wildlife crossing near the old rest areas. 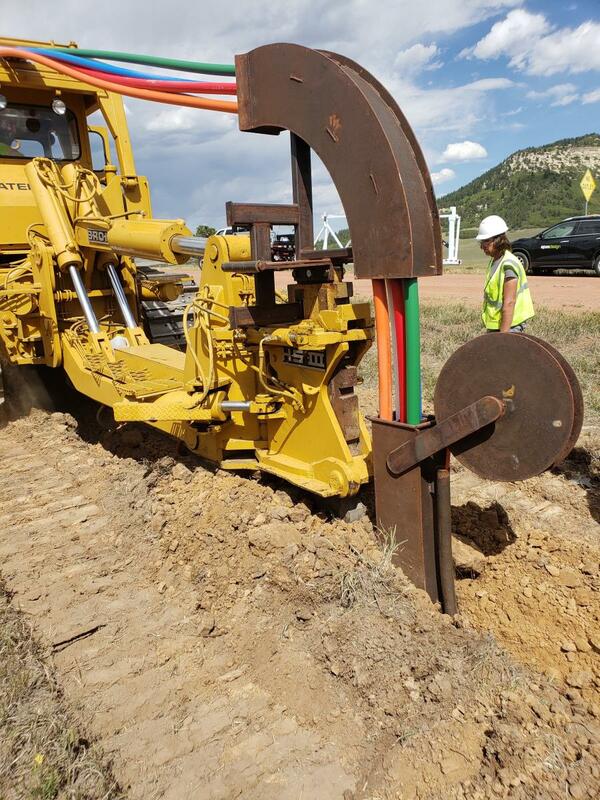 Spruce Mountain Road NB on-ramp, I-25 over Plum Creek and Upper Lake Gulch structures will be replaced and I-25 over Union Pacific Railroad will see improvements to bridge rail and surfacing. These structures all exist in less than a 1-mi. stretch that will have to be phased together for construction." Work on this stretch has not begun. 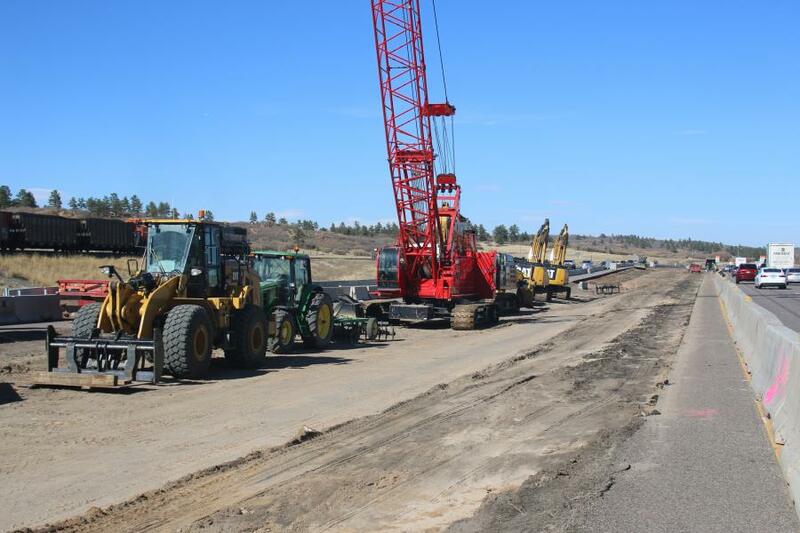 Bridge replacements and the new wildlife crossing will be phased to allow crews to maintain two travel lanes in each direction of I-25 during construction, so these structures will be built in halves, with the exception of Upper Lake Gulch that has more complex bridge phasing. The general sequence is to shift traffic to create a work zone, demolish a portion of the existing structure and build the new bridge, then shift traffic onto the newly completed portion in order to demolish and reconstruct the other portion. Blasi said the main challenge on the project is the tight construction environment. "Crews have worked to balance commuter access by maintaining two travel lanes in each direction during peak hours, while still giving crews room to safely work. We're using every inch of pavement and construction space. Speeding drivers make it especially dangerous for our team on the job site." According to Blasi, a total of 1.4 million cu. yds. of materials will be moved during construction. Scrapers, tractors with discs, loaders, excavators, motor graders, forklifts, slip-form barrier machines and asphalt pavers are required to complete the project, as well as heavy haul trucks, including end dumps and tandems used for material haul. Embankment, Class 1 backfill, aggregate road base, asphalt and some limited concrete pavement are among the materials needed on the job, as well as rebar and pre-cast concrete wall panels, pre-cast girders and concrete with rebar, reinforced concrete pipe, inlets and manholes, along with rip rap and various erosion control devices used for managing stormwater. Although much work remains, Neiman said it's satisfying to see construction moving forward on the project. "It's exciting to be a part of a project that will have a positive impact on the day-to-day quality of life for those who travel between Colorado Springs and Denver, but it's most rewarding to deliver a project that will increase safety for both motorists and emergency first responders. In the span of a 12-month period, the Colorado State Patrol family lost two of its members while responding to minor traffic incidents along this stretch of roadway. So, it's our honor to increase safety in memory of Troopers Jamie Jursevics and Cody Donahue, both young parents, who were taken too soon."